The psycho-socio-spiritual care worker provides psychological and spiritual assistance to end-of-life people, their families and loved ones, in collaboration with physicians, staff and volunteers. She accomplishes these end-of-life support functions in order to improve their quality of life. Through its holistic approach to the person, it promotes the care of the psychological, emotional, social and spiritual dimensions of people suffering from terminal illness. She advises management on the nature and practice of relevant interventions by staff and volunteers. Art therapy is a helping relationship using creation as a mode of expression. Collage, drawing, painting, sculpting and other creative methods are used to allow moments of joy, relaxation and appeasement, but also to express less comfortable emotions like fear, sadness or anger, if the need is present. Individual or group meetings are possible, depending on the availability. There is no need to have experience to fully benefit from this approach, since the process is more important than the final result. Welcome to everyone. You can contact the art-therapist, Daphné Vachon at 819 431-2936 to learn more. 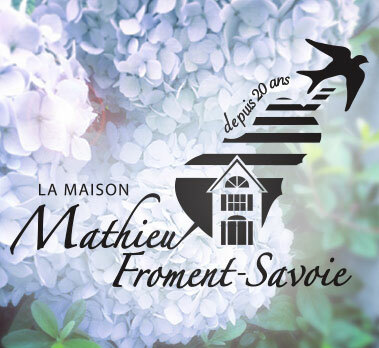 Massage therapy service is available in Le Havre for caregivers but also residents of Maison Mathieu-Froment who are mobile enough to receive one on a massage table as well as palliative care patients who are at home and receive their The CLSC de Gatineau. This service is offered free of charge. Massage is a well-being must in these difficult moments of illness whether it for a close caregiver, a person who is at the end-of-life or their children! By acting on the body, massage has positive effects on the mind, attention and awareness of emotions. In this moment of relaxation, it brings to the client a new energy by giving him a relaxing well-being, it helps to fight against the stress, the anxiety and the depressive state. Of course, the physical effects are also numerous (circulation, sleep, muscular / articular relief etc.). Knowing several massage techniques, I can offer the type of massage in harmony with the needs of the body regardless of age or state of health. Program in development for 2019 that will provide free palliative care to patients in the terminal phase of their lives who desire to stay in the comfort of their home. They will be assisted by caregivers and nursing assistants. This will be done in collaboration with CISSSO.